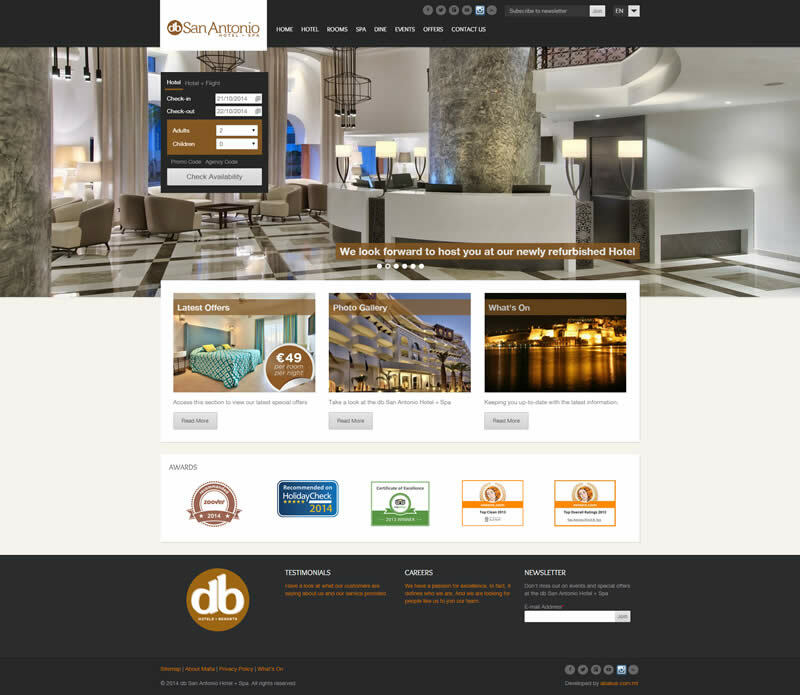 The db Hotels & Resorts group have entrusted the Abakus team with the design and development of their online presence. 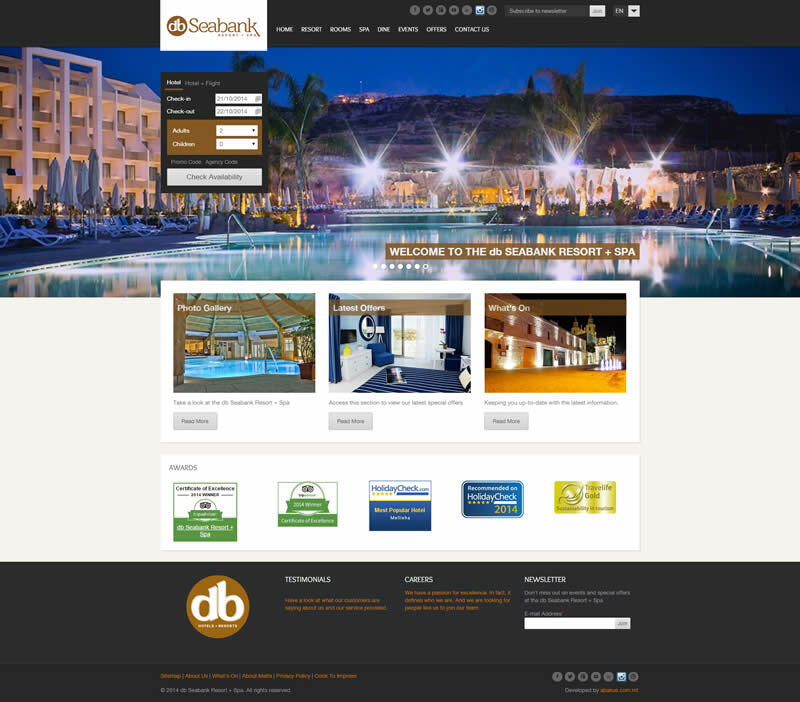 The db Group, which have the db San Antonio Hotel + Spa and the db Seabank Resort + Spa, worked with our team in order to deliver a high-end website which represents not only their brand but also their values. Our client have also worked with the addaJet team with the integration of their online booking engine in order to further maximise their direct online revenue.